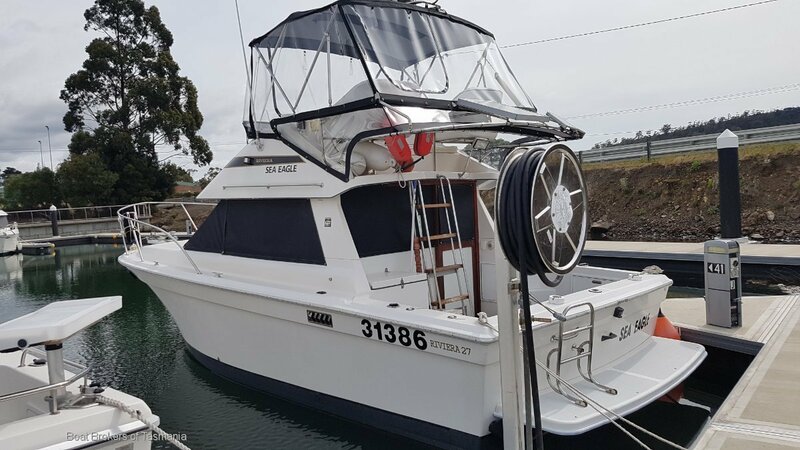 Well equipped and upgraded twin station, diesel powered Riviera with facilities for 4 and a spacious flush cockpit ideal for fishing and lounging. 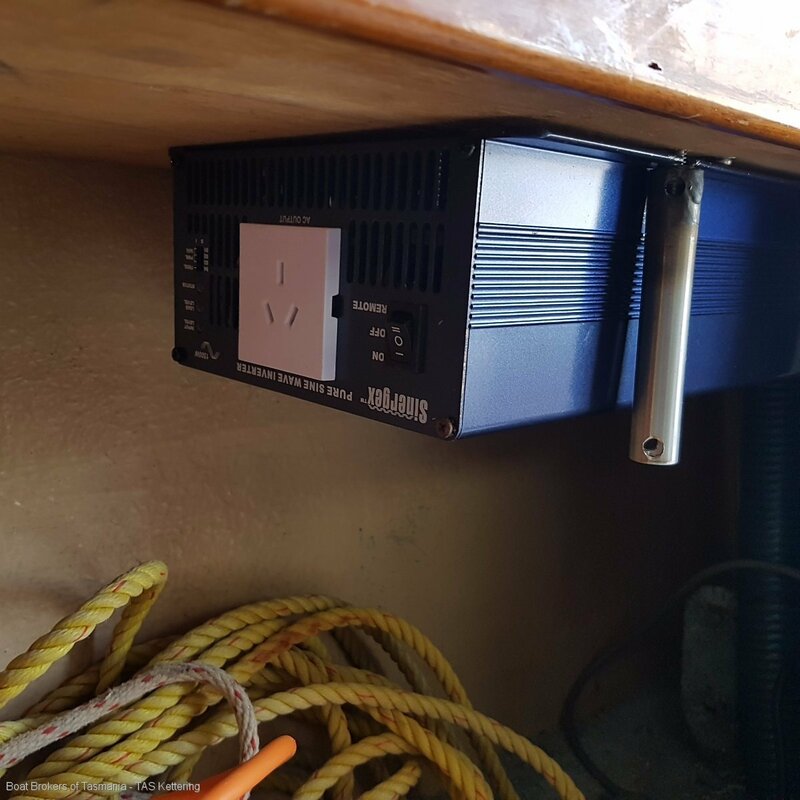 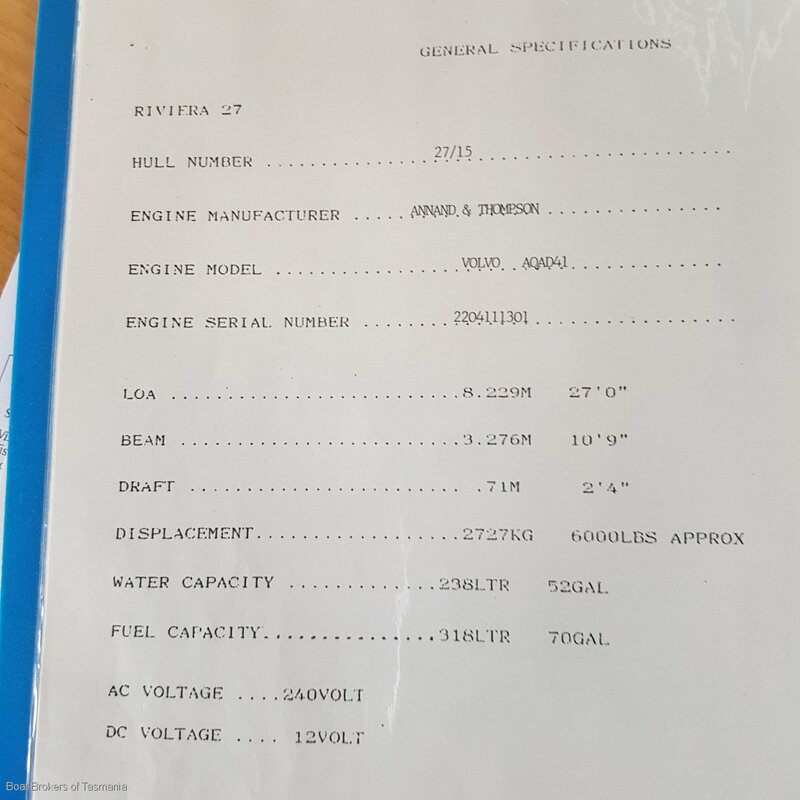 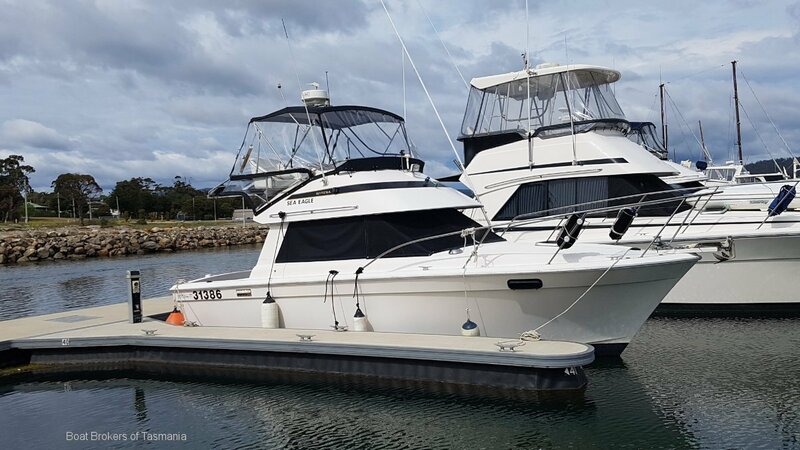 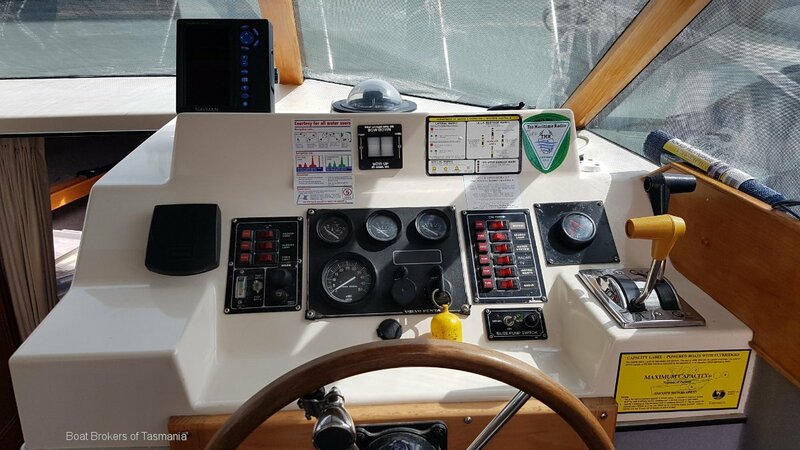 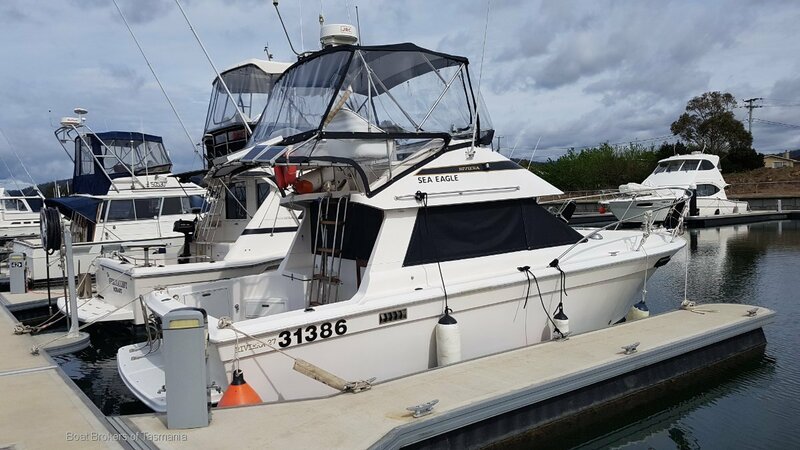 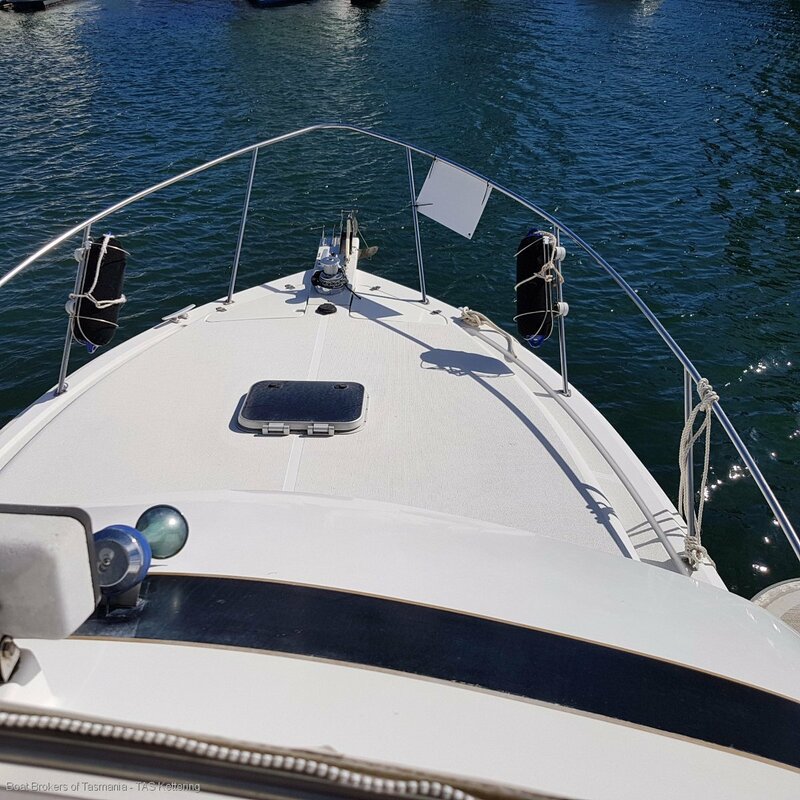 Powered by a recently serviced Volvo 200hp turbo diesel maintained by a local mechanic and fitted with radar, GPS, removable stainless steel dinghy davits, microwave oven, inverter, new TV, all new covers and clears and lots more. 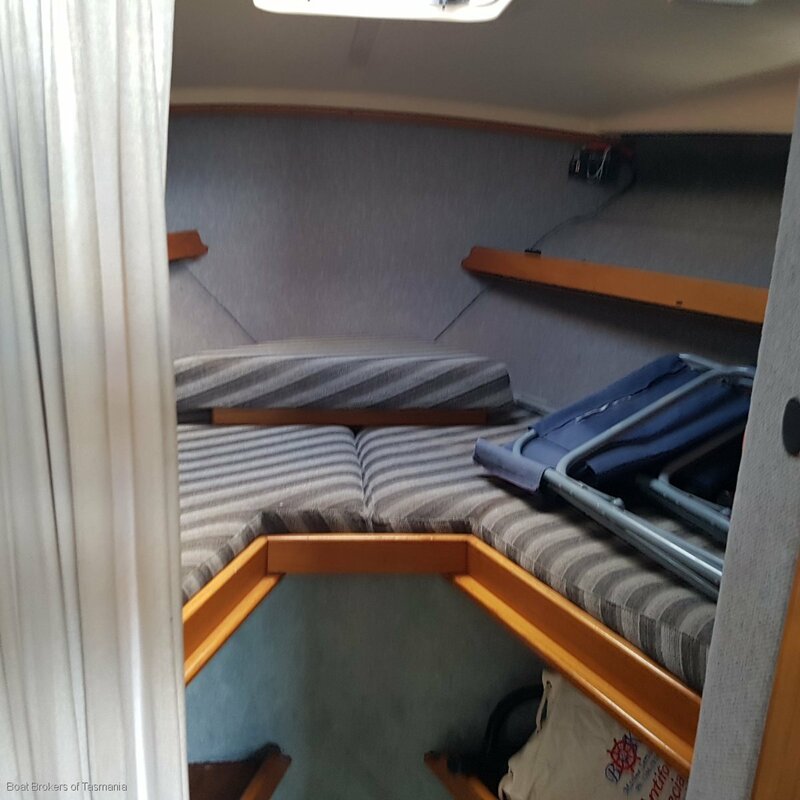 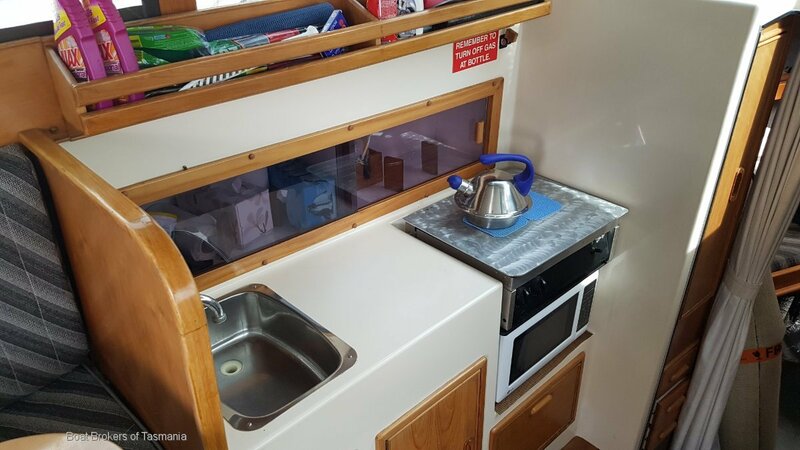 Accommodation consists of a double berth forward and convertible dinette double in the saloon with enclosed heads with a hot and cold shower. 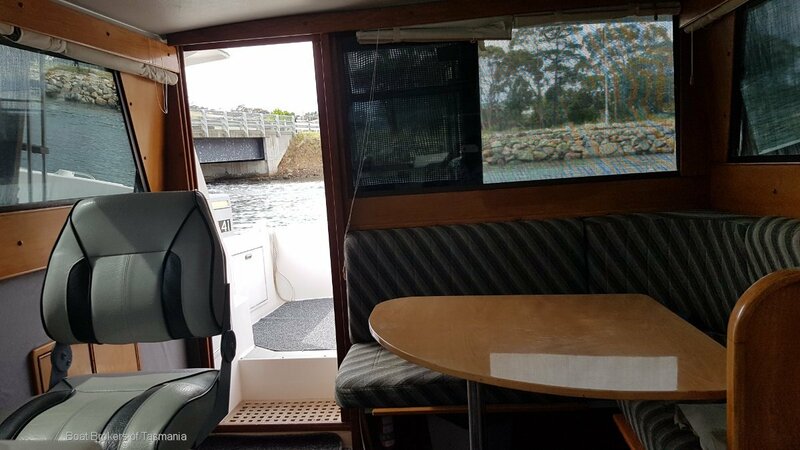 Sea Eagle is ready to enjoy now and an east coast Tasmanian berth is also available by negotiation should you wish to enjoy the waters around Maria Island. 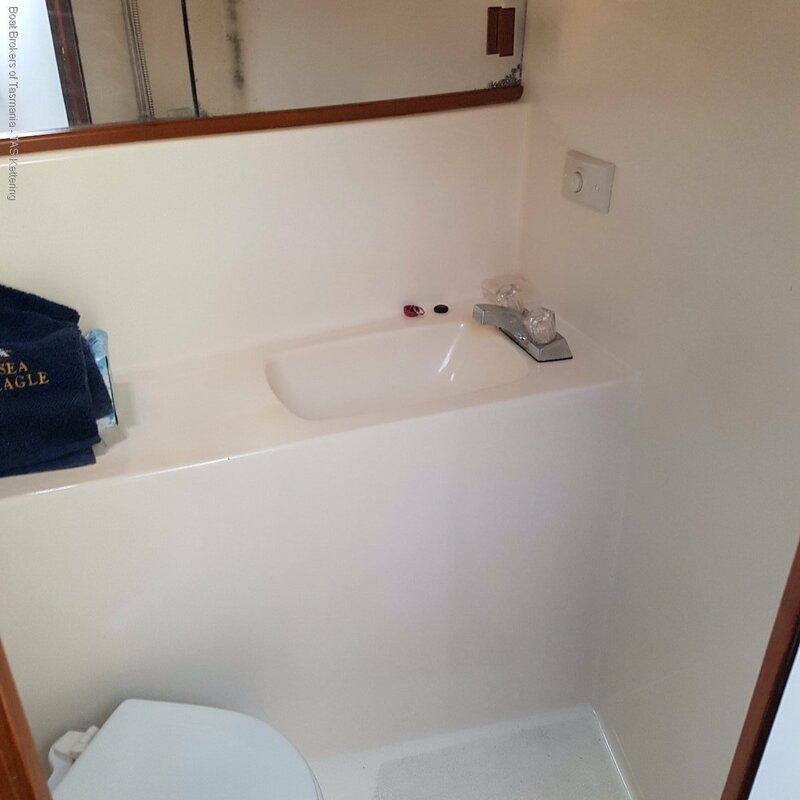 Please call Steve Taylor on 0400 934 974 to arrange an appointment to inspect. 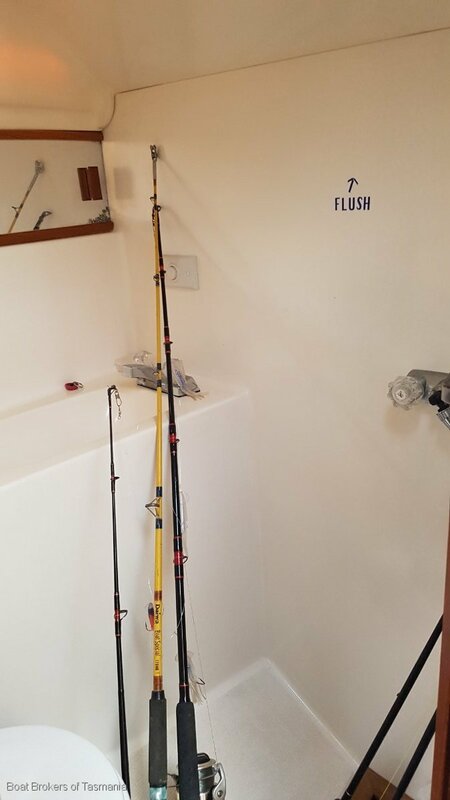 Draft 3 feet with sterndrive down. 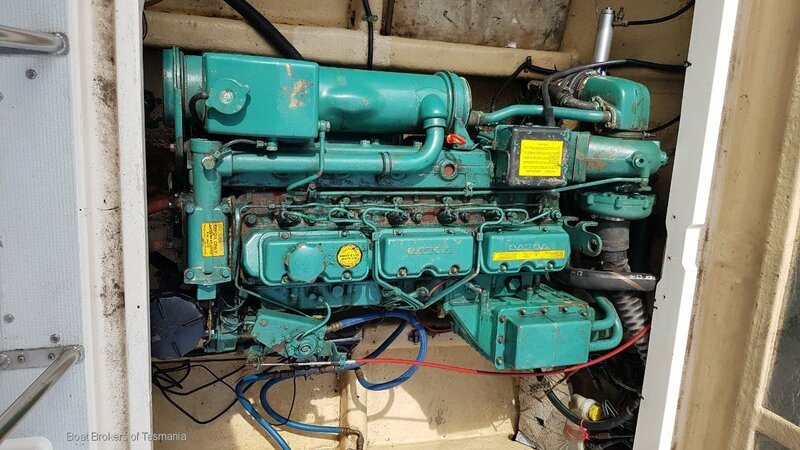 Engine TAMD41 Volvo turbo diesel with sterndrive fitted. 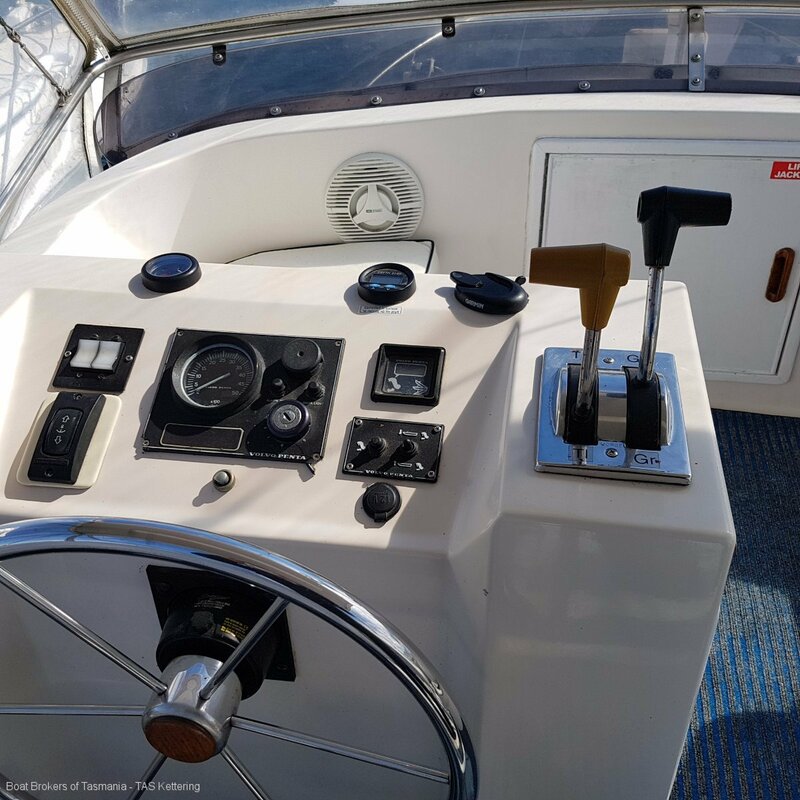 Trim tabs, hydraulic steering to both stations and rudder angle indicators. 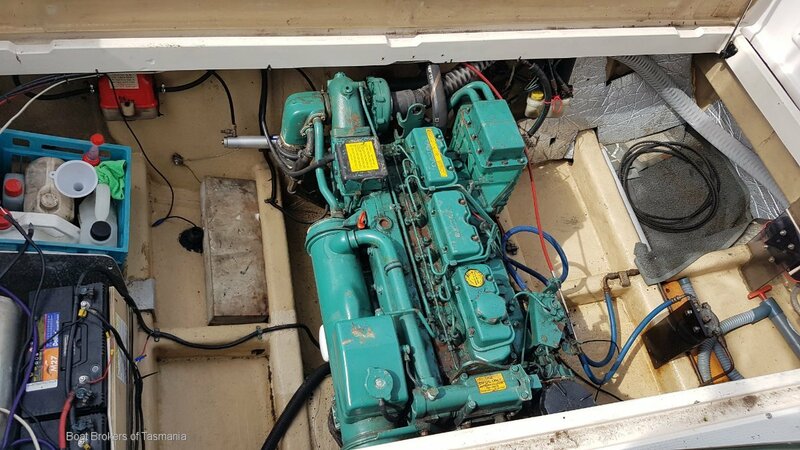 Genset 240 volt shore power and a 1500 watt inverter. 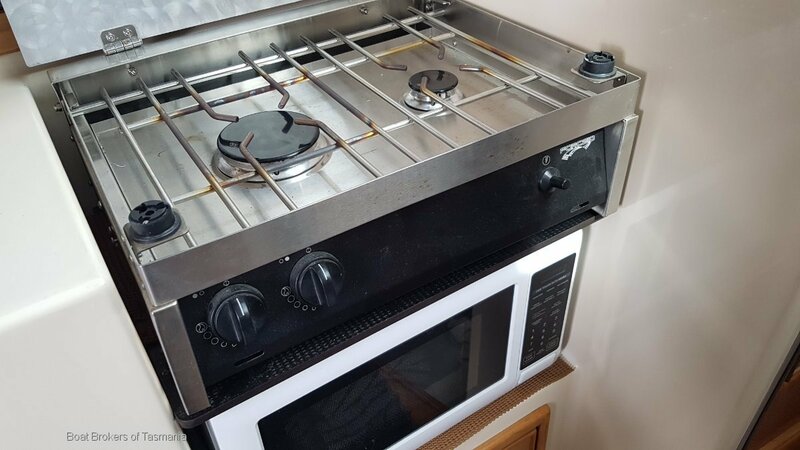 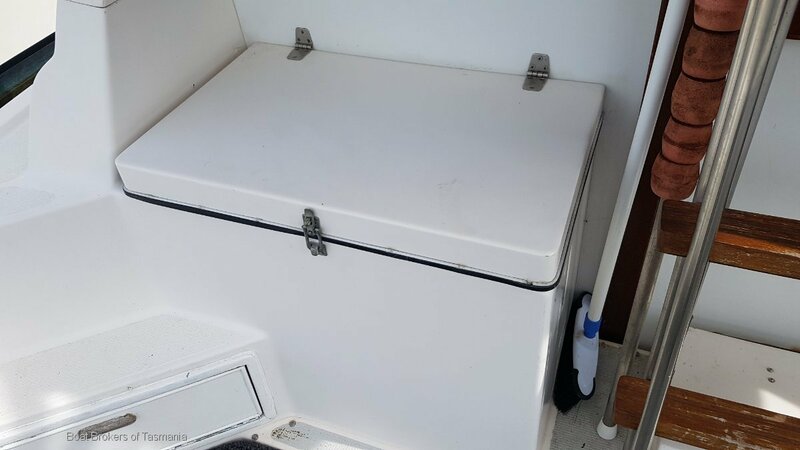 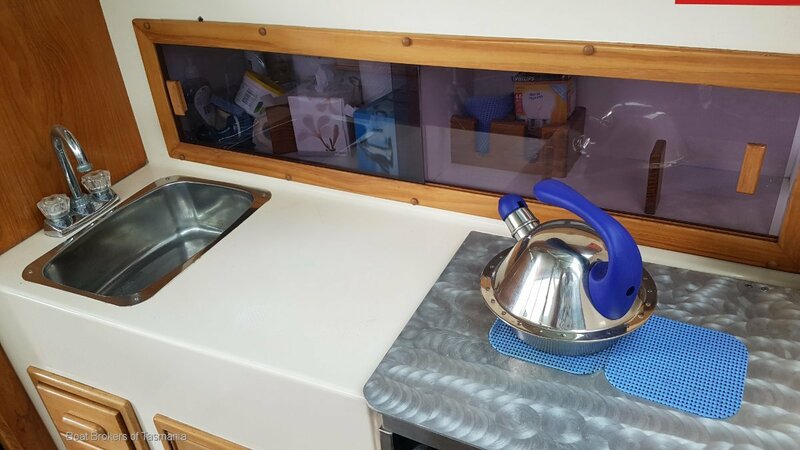 Galley Sink with pressure hot and cold water and a 2 burner gas Force 10 stove. 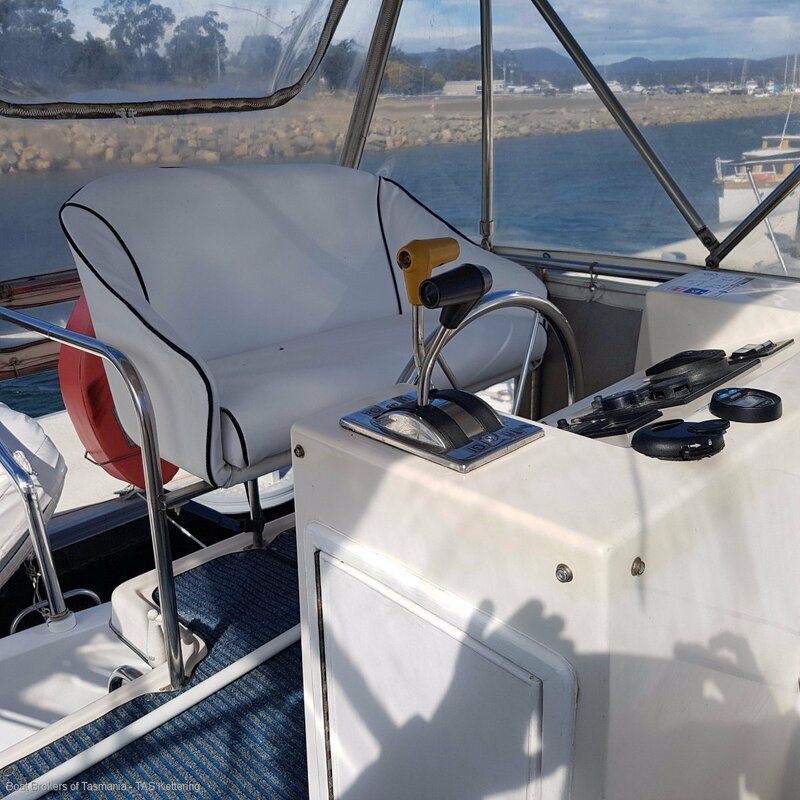 Ground Tackle Muir electric anchor winch with remote control and chain counter. 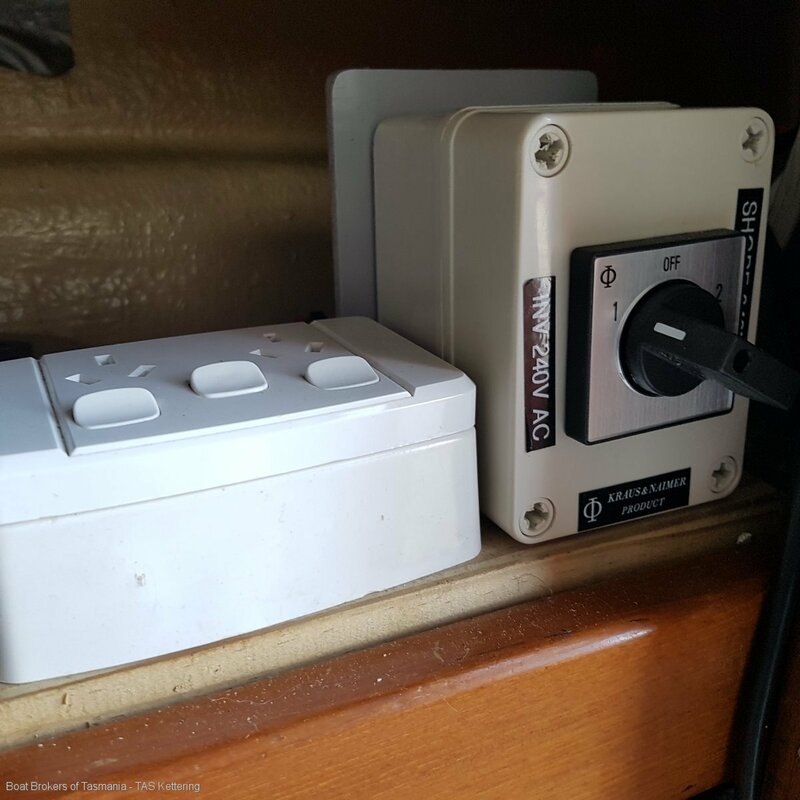 Electrics Solar powered electronic defouling unit. 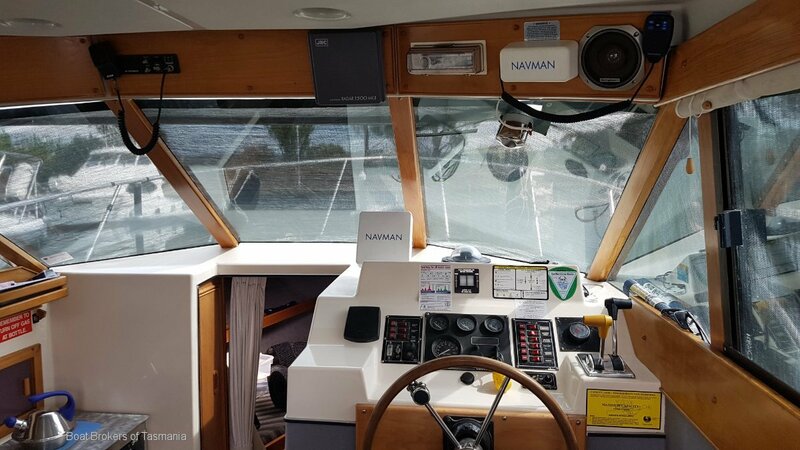 Navman 6600 Tracker GPS/plotter/fishfinder with fuel flow. 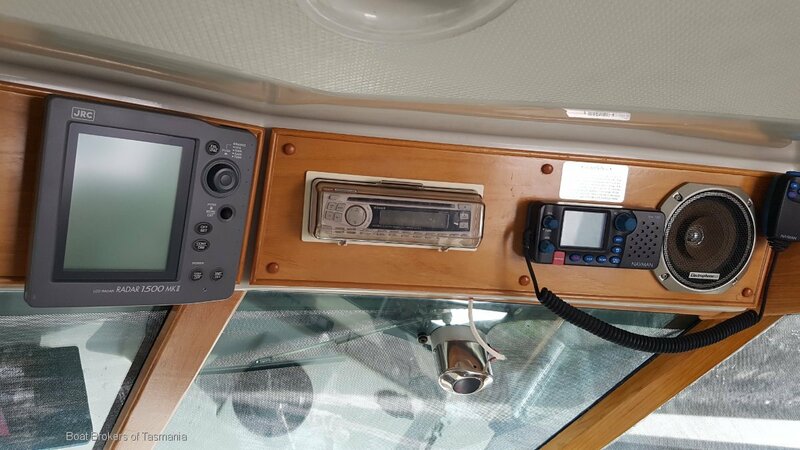 Navman VHF radio and 27 meg radio. 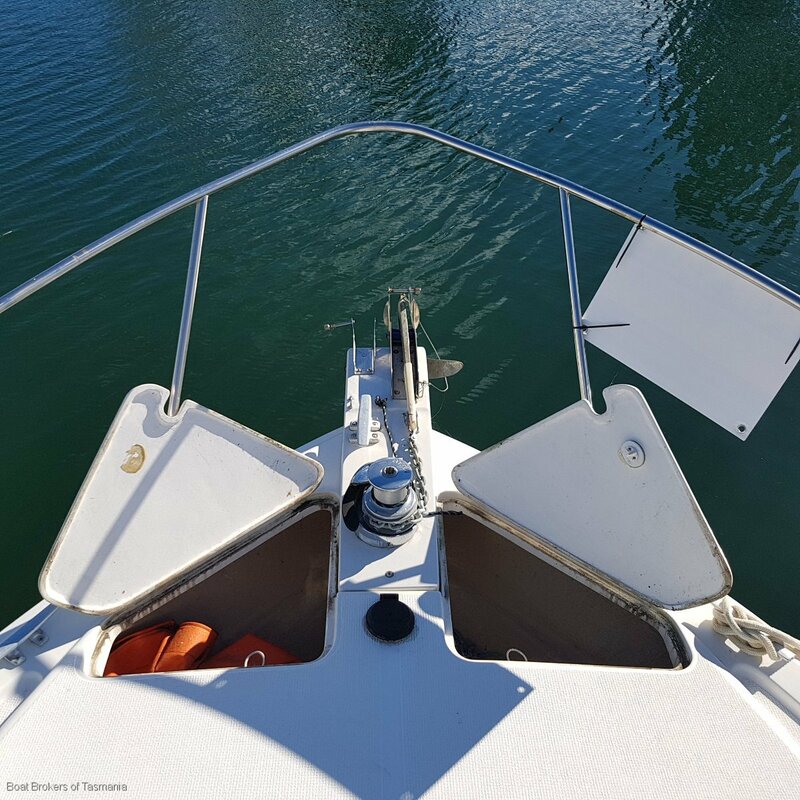 Deck Gear Removable stainless steel dinghy davits. 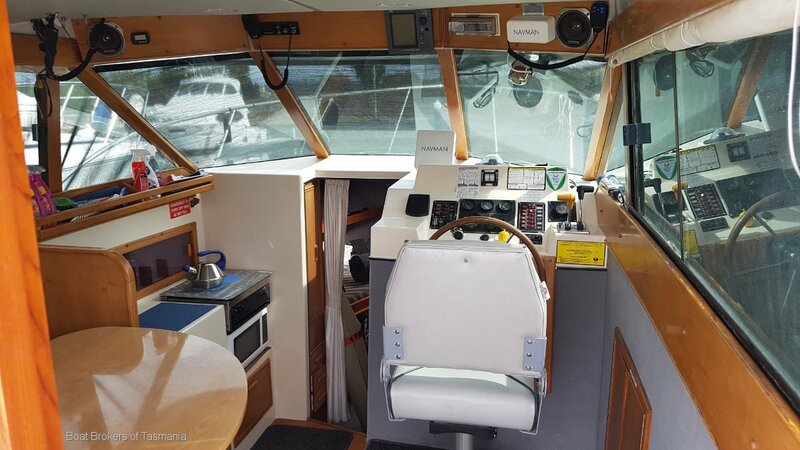 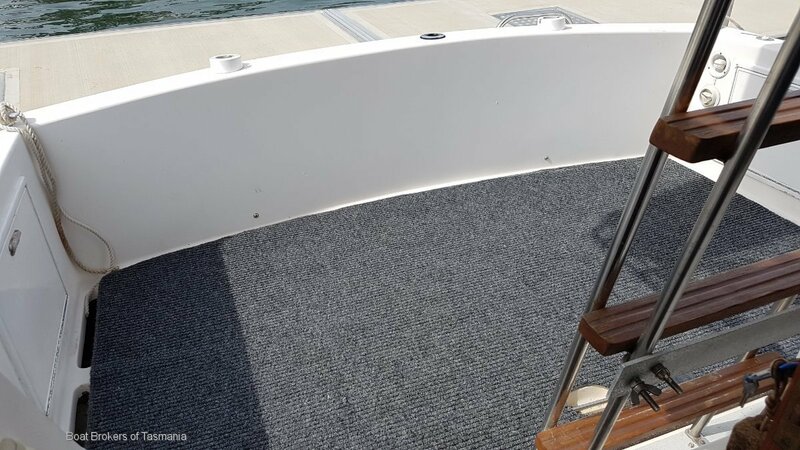 New flybridge and cockpit carpet.